Mesh is the ore processing to determine the fineness of ore processing after the size of the size, then the 600 mesh is about how much fineness? Shanghai Joyal mining machinery is a professional manufacturer of ore processing machinery and equipment, where we talk about what is about 600 head, what is its concept. The mesh is defined as the particle size or roughness of the material. The mesh number refers to the number of holes in the area of 1 square inch. The larger the mesh, the finer the particle size is. The smaller the mesh size is, the larger the particle size is , The mesh number is usually expressed in terms of the number of sieves in a screen of 1 inch (25.4 mm) square. 600 grade is what level of fineness? According to the number of millimeters of microns, 600 tables are 23 microns and 0.023 mm. 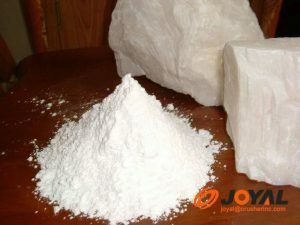 Can be said to be very fine one, our company has a lot of ore mill can achieve this fineness. It is also said that 600 ores ore mill grinding ore can be 0.023 mm, my company developed 600 mesh ultra-fine milling machine can grind all kinds of ore, the output per hour up to 3-12 tons, very much loved by everyone. Previous: How to improve the screening efficiency in screening operationsNext: What is the difference between the ball mill and the Raymond Mill?